I went with Rebekah to kindy today for the beginning session (15 minutes) that parents can share with their children before leaving. 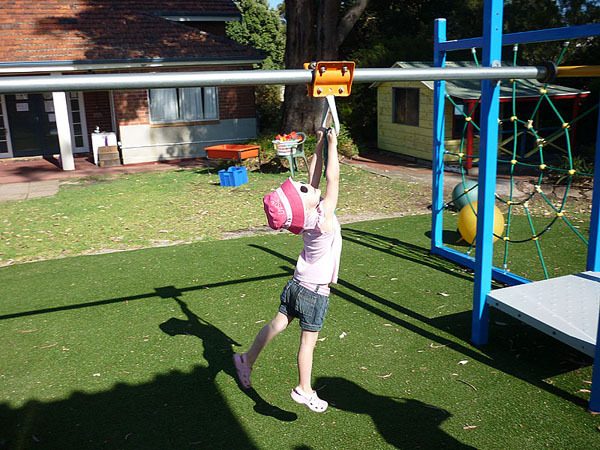 Here Rebekah is showing her skill on the playground equipment – she has become quite a little acrobat. tutorial tutorial tutorial tutorial pls pls pls…..